Do you know someone who has done it? Maybe you’ve been tempted yourself. Is it OK if you’re only inflating the value of a lost item by a few dollars? It’s not like you’re falsifying an entire claim, is it? Most people recognise insurance fraud for the criminal offence that it is. Yet, some of us do it and some condone it or turn a blind eye. Fraud largely falls into two categories – hard and soft fraud. In the case of hard fraud, the person deliberately plans or invents a loss (eg a staged motor vehicle accident). Soft fraud is more opportunistic and also the most common type. This is usually where the value of an item is inflated or the extent of loss exaggerated. This may be done to offset the application of a policy excess or to generally profit from the claim. The Insurance Council of Australia estimates that insurance fraud accounts for approximately 10% of all general insurance claims and costs the industry more than $2 billion each year. Statistics offered by the Australian Institute of Criminology estimate that the true cost of insurance fraud to the community, with all associated costs, could be as much as $9 billion per year. Given that fraud has a direct impact on the price consumers and businesses pay for their insurance, it is fair to say that insurance fraud affects almost everyone. Insurance fraud is simply a form of theft. It involves deception or trickery with the intention of gaining financial advantage. 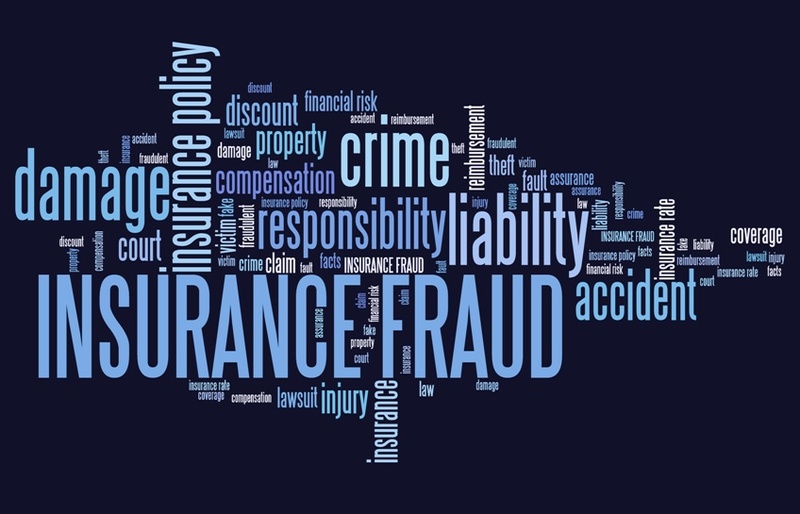 Insurance fraud can take many forms and often involves the alteration of documentation, exaggeration of otherwise legitimate claims, intentional misrepresentation of facts or manipulation of the claim process. Insurance fraud is illegal. Regardless of the reason, any incident of fraud is considered at law to be a serious indictable offence where the penalties can be imprisonment for up to 10 years and / or a substantial fine. Whilst insurance companies are commercial entities that need to deliver returns for their stakeholders, they are also in the business of paying valid claims. Vigilance is required to identify fraudulent activity to protect the viability of the business and also provide the most economical premiums to customers. Fraud is a cost to the business and in turn is shared by policyholders in the premiums they pay. In accordance with relevant legislation, if an insurance company identifies a fraudulent claim, it has several available remedies. These include declining the claim and even cancelling the policy and treating it as if it never existed. For the person concerned, this could have serious ramifications as it may prevent them from obtaining insurance in the future. They are also exposed to the potential that the insurance company will refer the matter to authorities which could result in criminal charges being laid and legal penalties including imprisonment. The insurance company could even file a civil claim for restitution (recovery) of any funds obtained by fraud. Insurance companies invest heavily in their systems and people to detect and prevent fraudulent activity. The insurance industry collaborates on the issue of fraud to help protect honest policyholders and assist law enforcement agencies identify and take action against those who commit fraud. The industry also welcomes information from the community. Together, we can make a difference for the benefit of all.